“At least 50 species of songbirds, upland game birds, and small mammals relish the fruit of American elder during summer and early fall. White-tailed deer browse the twigs, foliage and fruit during the summer. American elder is outstanding as nesting cover for small birds. During summer, the partial shade under American elder promotes a dense ground cover of grasses and forbs that offers good loafing or feeding areas for broods of young pheasants and quail. 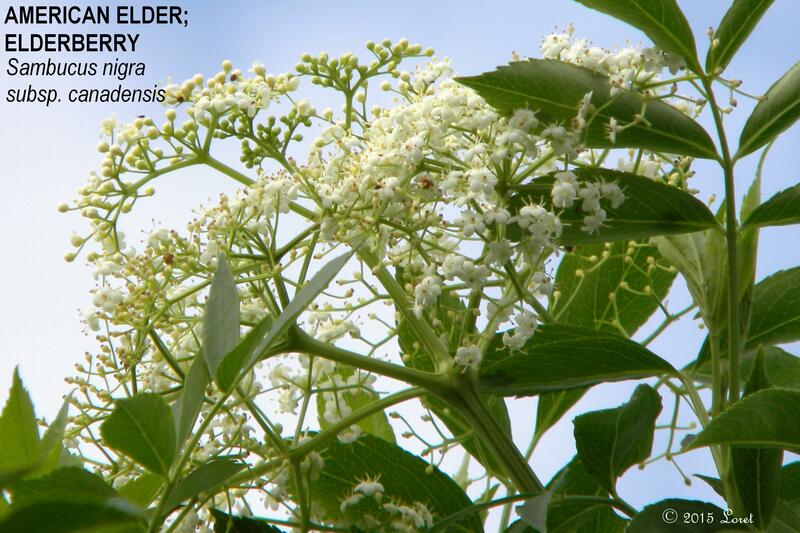 American elder can be used for erosion control on moist sites. It pioneers on some strip-mine spoils and may occasionally be useful for reclamation planting. caution: new growth may be toxic to livestock.